Fret not there are ways to fix these issues. Products with oil-absorbing ingredients, like sulfur. Freshen skin throughout the day and remove dirt, oil and impurities with a disposable cloth that contains moisturizing humectants. In addition to a cleanser switch, exfoliate consistently to slough off dead skin cells and deep-clean clogged pores. All these come in Proactiv solutions' 30-Day and 60-Day Kits. 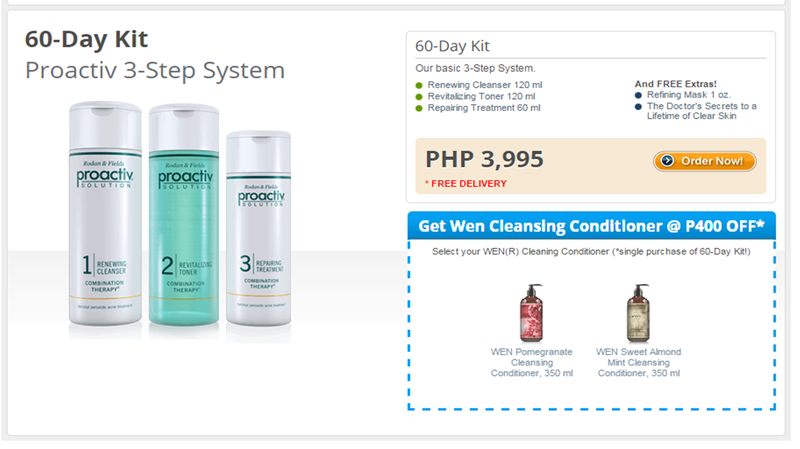 Philippines Online shopping site https://my.proactiv.comph, you can choose to upgrade your kits with an additional product, Wen Cleansing Conditioner 350ml at Php250 discount (if purchased with 30-day kit) or at Php400 discount (if purchased with 60-day kit). Now that we have addressed your skin issues, here is something worth noting for in caring for your tresses this summer. 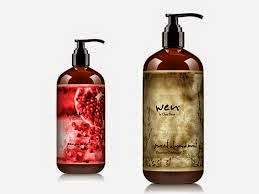 Take it to WEN Cleansing Conditioner. Do you know that shampooing less can help alleviate certain problems, however, we know that it is a must to be in the shower everyday to freshen and cool us down. According to Good Housekeeping magazine, shampooing strips off natural oils in the hair and scalp, an these are the oils that maintain the health and luster of our hair. 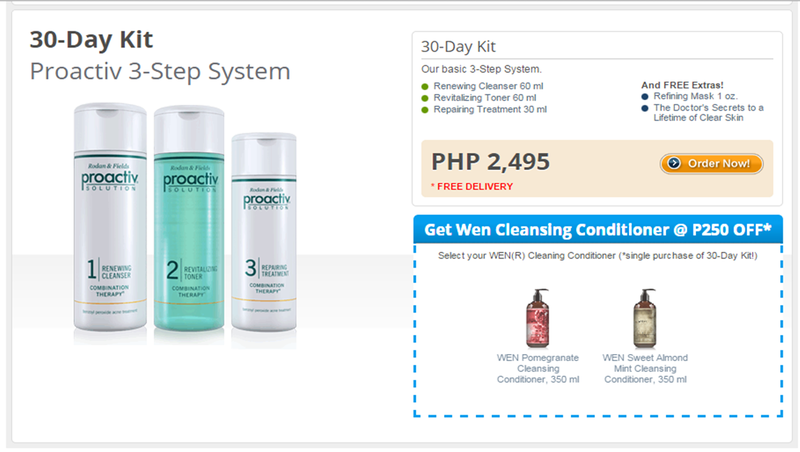 So the best way is to use WEN® Cleansing Conditioner. It is a revolutionary new concept in hair care, made by the same manufacturer as Proactiv – Guthy Renker USA. A 5-in-1 formula, this one product takes the place of your shampoo, conditioner, deep conditioner, detangler and leave-in conditioner. It cleanses hair thoroughly but without lathering and all the harsh ingredients that may be found in ordinary shampoos—it is designed so it won't strip your hair and scalp of their natural oils. Your hair is left with sheen, moisture, manageability and better color retention. and Proactiv 60 day kits. and its equivalent purchase price is excluded from the refund value.